Chesapeake PSR is suing the EPA over a proposed delay in a rule that slashes coal ash waste discharges into rivers and streams. PSR National Environment & Health Director Barbara Gottlieb gave expert testimony on the health impacts of coal ash disposal. The Danger to You Our bodies are run by a system of hormones that control just about every bodily function. 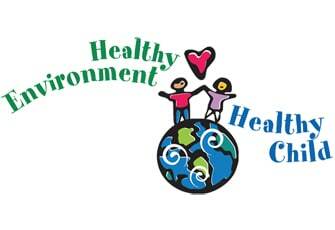 Chemicals in products like plastics can mimic hormones and disrupt the endocrine system, increasing health problems. 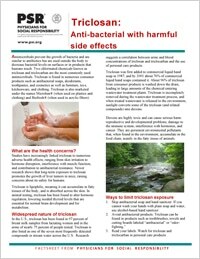 Read our new handout and learn how to reduce your exposure. 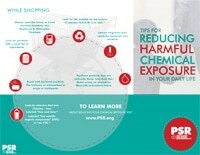 Patient handout on reducing exposure to harmful chemicals while shopping and in the home. Triclosan is found in numerous consumer products such as antibacterial soaps, deodorants, toothpastes, and cosmetics as well as furniture, toys, kitchenware, and clothing. 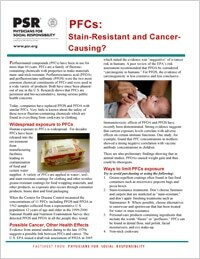 Human exposure to PFCs is wide-spread. 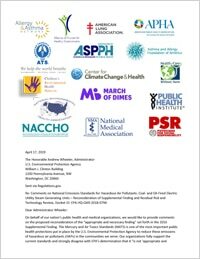 For decades PFCs have been released into the environment from manufacturing facilities, leading to contamination of food and certain water supplies. 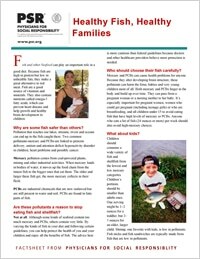 How you can enjoy the benefits of seafood, while making smart choices to lower the risks of pollution. 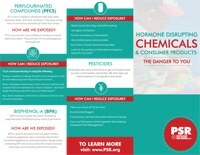 What chemicals are in the food we eat? 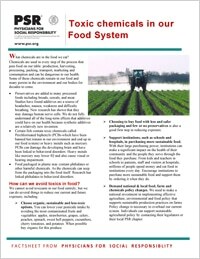 Chemicals are used in every step of the process that puts food on our table: production, harvesting, processing, packing, transport, marketing and consumption and can be dangerous to our health. 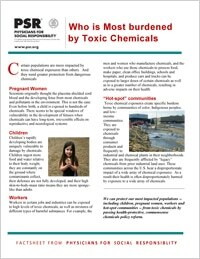 Certain populations are more impacted by toxic chemical exposures than others. And they need greater protection from dangerous chemicals.